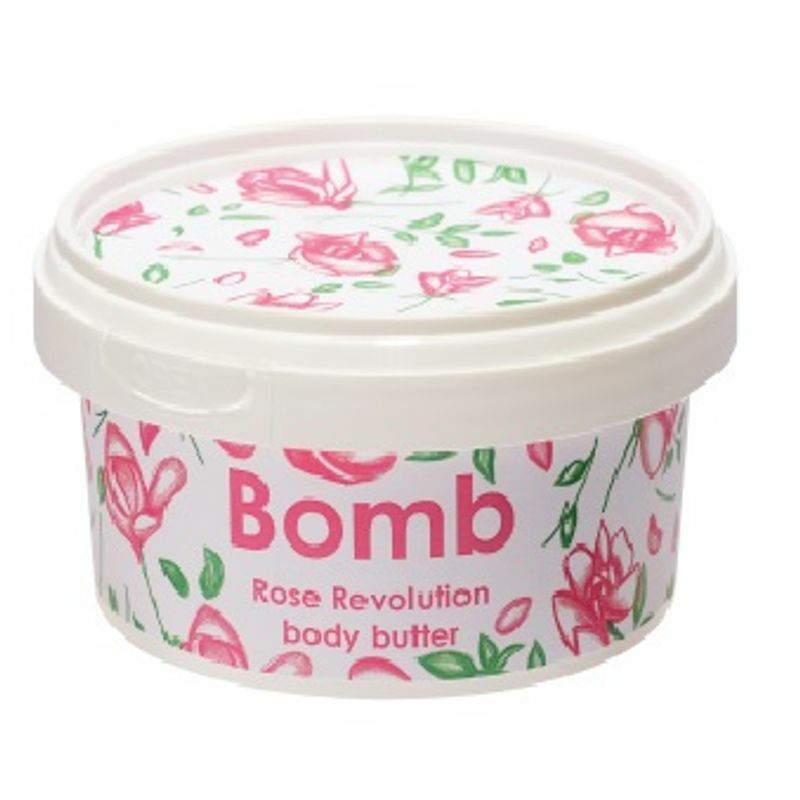 With 30% pure Shea Butter and moisturising Sunflower Oil, Rose Revolution Body Butter will naturally and deeply moisturise, nourish and condition your body. A creamy, powdery floral rose fragrance with woody and musky base notes. Infused with pure Geranium & Rosemary essential oils. Additional information: All Bomb Cosmetic products are 100% handmade by a team of over 250 Bomb-er Lomb-ers! Moulded, mixed, rolled and piped entirely by hand, their crafters ensure that each and every product is unique, but ultimately perfect in its own little way. Explore the entire range of Lotions & Creams available on Nykaa. Shop more Bomb Cosmetics products here.You can browse through the complete world of Bomb Cosmetics Lotions & Creams .